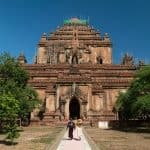 Between the 9th and the 13th centuries, Bagan (also Pagan) was the capital of the Pagan Kingdom, the first kingdom that unified the regions that would later constitute modern Myanmar. 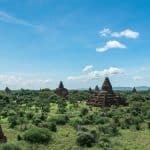 According to estimates, there must have been more than 10,000 Buddhist temples, pagodas, and monasteries in the Bagan plain at the time. 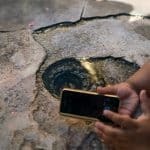 Today remains of more than 2,000 have been found and partially restored. 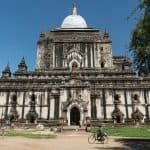 How much does the entrance to Bagan cost? 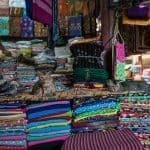 What should I wear in Bagan? 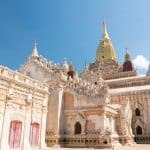 What is the best way to explore Bagan? 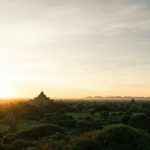 Where should I stay in Bagan? 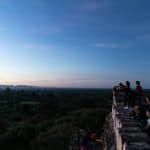 What is a great 1-day itinerary for Bagan? Entrance to the Bagan temples is not paid by-temple but for the whole area. Upon entering the Bagan Archeological Zone (regardless of by boat, bus, or train), foreigners are asked to pay 25,000 Kyat ($25). The Bagan Archeological Zone ticket is valid for five days. So if you stay longer, you should talk to your accommodation about getting a new ticket. 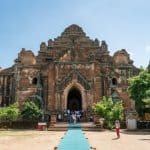 Bagan is relatively undeveloped in the sense that most temples are still freely accessible and only signs implore the visitors to act respectfully and reasonably around these ancient ruins. 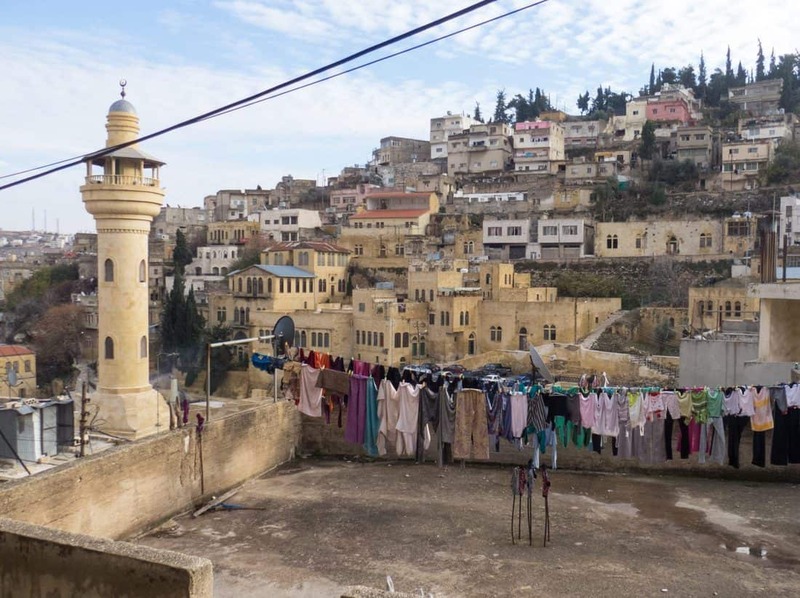 You should remember that you are exploring religious sites. 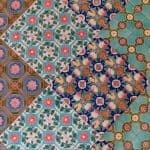 So dress appropriately by covering your shoulders and knees. 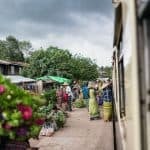 Myanmar people are usually too polite to say anything and stop you from visiting. But you don’t want to be that person, do you? Plus, the sun is merciless all year long in Bagan. So the covered skin will be skin not burned. 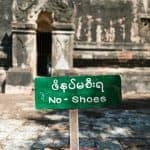 Speaking of religious sites: you are not allowed to wear shoes or socks inside the temples (even the ones seemingly no longer in use like Shwesandaw Pagoda. But don’t worry: I must have left my sandals unattended a hundred times while visiting temples in Myanmar. They were always right where I left them. 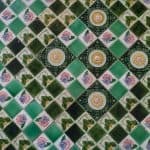 Bagan in a way is like a magnificent wonderland that you can just zig-zag without a plan and you’re bound to find something interesting. 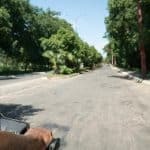 To that end, you can rent a bicycle or an eBike from your accommodation or the shops along the main road in Nyaung-U or New Bagan. I would recommend bicycles only if you’re crazy about cycling. Daytime temperatures in Bagan are always in the high 20s Celsius and above. And while the landscape is mostly flat, the lack of shade and the dirt roads will make this excursion unpleasurable quickly. Instead, get an eBike, a battery-powered mini-scooter, for as little as $5 a day. Note: Tourists are not allowed to rent/drive regular scooters or motorcycles in Bagan and are also not permitted as passengers on motorcycle taxis. 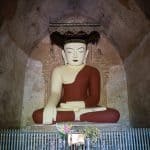 Now, I didn’t want to miss out on the best – which is easily done considering there are more than 2,000 ruins in and around Bagan. So I decided to hire a driver and guide. I met Osman at the ferry jetty when I arrived from Mandalay. We agreed on 20,000 Kyat ($20) for the day, starting before sunrise and hitting all the major sites (plus some). I ended up paying him 22,000 Kyat because he did such a great job and even took me to the bus station to get a cheaper bus ticket to Inle Lake. We cruised around on his motorcycle, me in the comfy sidecar. 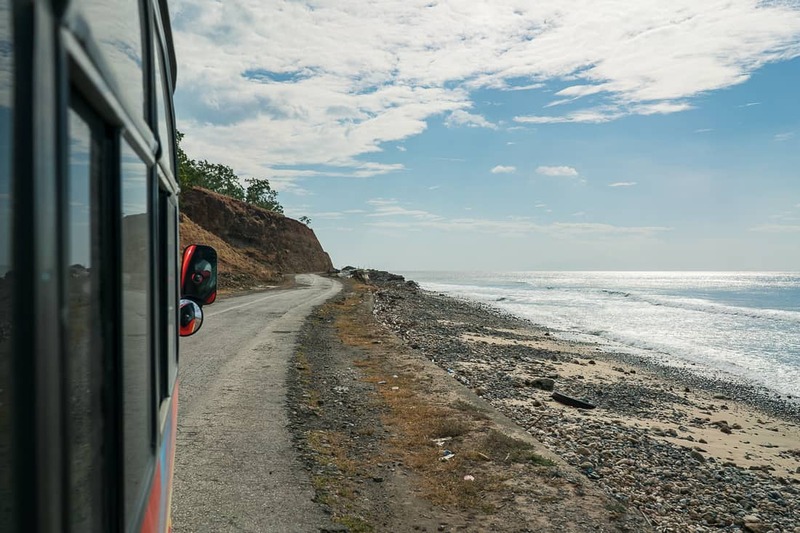 Other guides have cars or horse-drawn carriages; though I felt the horse might suffer if you book a full day and the speed is also not the best. 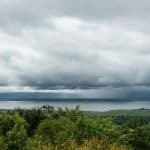 If you have a look at Get Your Guide, you will get a good idea of what types of tours are available – but not all of these you have to book ahead (or online). 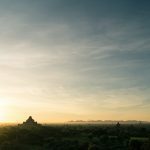 Finally, the iconic Bagan balloon ride: First of all, note that balloon tours are only possible during the dry season between October and early April. So if that is on your must-do list, plan accordingly. 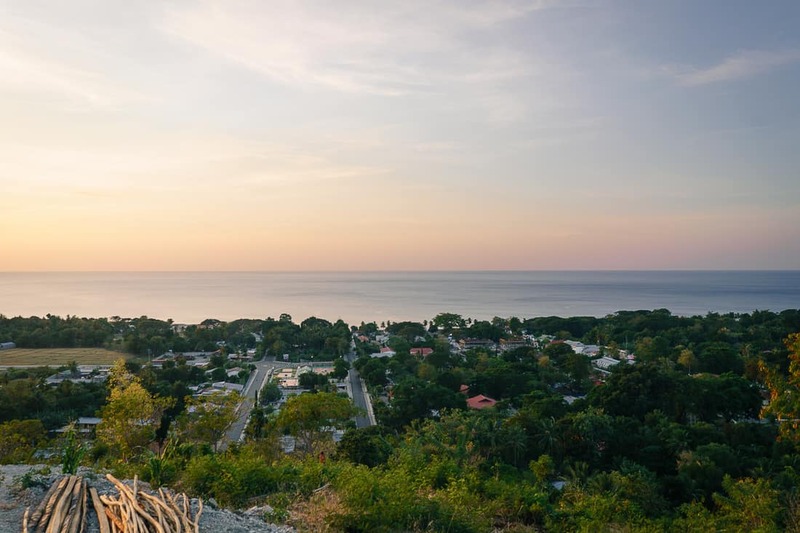 Prices for the sunrise ride of about 45 minutes start at staggering $320 but there are also more luxe offers with breakfast and champagne included. Click here to have a look at some of the options you can book via Get Your Guide. 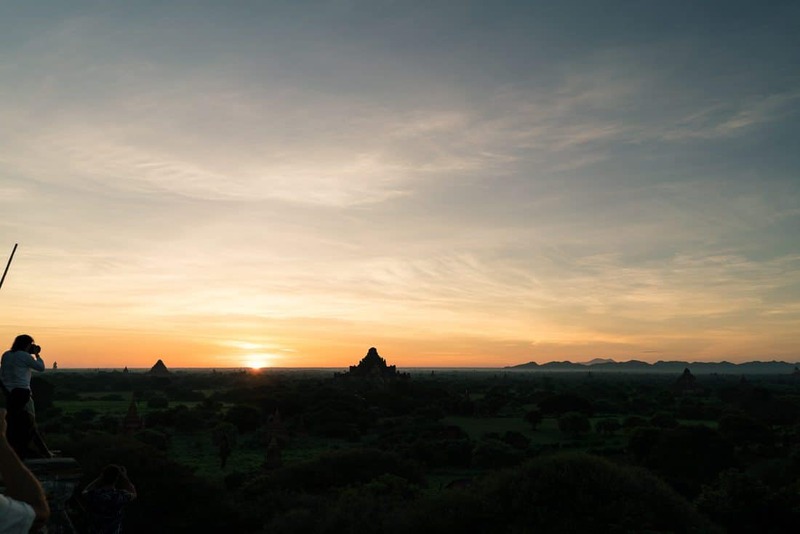 I didn’t ride a balloon over Bagan because, while it is a beautiful experience (we’ve all seen the pictures) thanks to the geological makeup of the Bagan plain you can get great views of the sunrise from the ground (or the top of, for example, Shwesandaw Pagoda – see below). 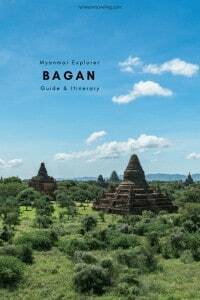 In essence, there are two areas you can pick as a base to explore Bagan: Nyaung-U and New Bagan. Nyaung-U is an old village. So you’ll find the full infrastructure here: from the market to the bus station to local (cheap) restaurants. Also, the ferry from/to Mandalay docks in the North of Nyaung-U. 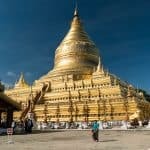 I stayed at the Golden Rose Guesthouse, in walking distance to Shwezigon Pagoda. At $22/night, the rooms were modern and clean; breakfast consisted of a choice from traditional Myanmar (savory) breakfast or toast, egg, and jam. New Bagan is located South of most Bagan temples was explicitly built for the tourists. 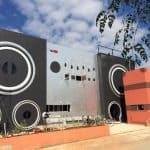 So you’ll find more Western-style restaurants and services there, and the experience will most likely be more expensive. 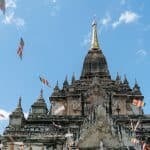 Note: On Booking.com most accommodations simply list their location as “Bagan, ” and you’ll have to check the map to see whether they’re in New Bagan or Nyaung-U. 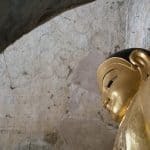 If you want to do your own explorations, here is the list of sites I visited, starting at 5 am at my guesthouse (the Golden Rose Guesthouse in Nyaung-U) and getting back at 2:45 pm, completely knackered. Which ones of these you will actually visit also depends on how much you are into exploring history and ruins. 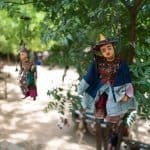 For those who want just the gist of it, I’m marking the must-must-sees in Bagan. 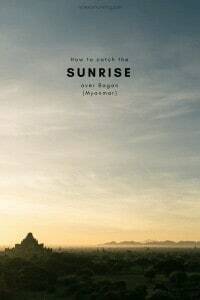 We started out at Shwesandaw Pagoda, which is the best sunrise spot near both hotel areas, Nyaung-U and New Bagan. 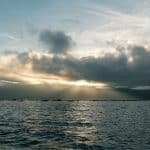 While the light is really only perfect in the minutes after the sun shows up on the horizon, you want to arrive at least half an hour before to secure a spot with good visibility. 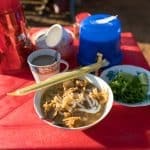 After sunrise, I had a hardy Myanmar breakfast of Mohinga noodle soup and sweet coffee at the eatery at the bottom of the pagoda. Since you’re already there, don’t forget to check out Shinbinthalyaung, the flat-roofed building at the foot of Shwesandaw pagoda, and the giant reclining Buddha inside. 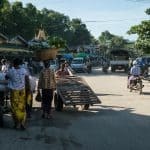 Next, we went all the way to the North of Nyaung-U town to Nyaung-U market to catch the vendors setting up shop and avoid the masses. 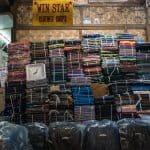 I ended up being the first customer of the day for two vendors (“Lucky!”) and bought a nice cotton longyi (the traditional “skirts” Myanmar men and women wear) for $4 and a t-shirt for $5. You’ll also find lacquered bowls and boxes, puppets, and any other Myanmar souvenir staples here. Shwezigon Pagoda was completed in 1102 and is revered as containing a bone and a tooth of Siddharta Gautama, the first Buddha. Its bell shape became a model for many pagodas in Myanmar. 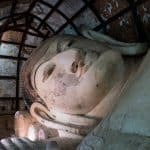 Apart from its history and significance to Myanmar Buddhists, two features make Shwezigon Pagoda a must-see in Bagan: The ridiculous Lucky Buddha in the northwestern corner of the compound. I will not spoil for you what it is but it’s a tourist trap… The other must-see is the tiny reflection pool on the eastern side. Look out for people conspicuously kneeling on the ground and pointing their phones up. Tha Gyar Hit Paya is one of the smaller pagodas. 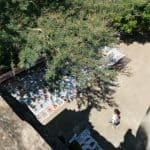 But it offers some frescos and, maybe, more importantly, the option to climb onto the roof, which isn’t possible in many Bagan temples. One item sold all over Bagan are sand paintings. While they are all similar, they are also all hand-painted. I like the pictures at Gyar Hit Paya just a little more than the ones I saw elsewhere. In Shwe Leik Too the staircases to the roof are either blocked, or signs ask the visitor to refrain from using them. The multiple golden Buddhas still make the temple worthwhile. 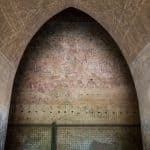 Upali Thein has some of the best frescoes in Bagan. However, photography is not allowed. You should still visit and spend a few minutes listening to the stories of the guard/art vendor. 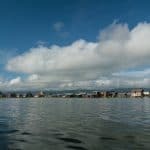 Another must-see, you’ll recognize Ananda Temple from afar by its almost white color. 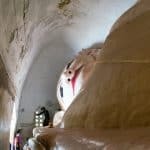 But the inside is just as unusual: the walls are covered with hundreds of Buddhas in crevices and frescoes. Outside the main pagoda, you’ll find Buddha’s footsteps and a giant alms cup where devotees leave donations. Thatbyinnyu is another one of the big temples. The sitting Buddhas here are of exceptional size and covered head to toe in gold. Also, wrought-iron gates make for beautiful photo backgrounds. To fully appreciate the view of Thatbyinnyu, head over to the roof of Shwegu Gyi Phaya. Maha Bodhi Phaya made it on my must-see list because of its unusual style. It dates back to the mid-13th century and is modeled after the Mahabodhi Temple in Bihar, India. The temple’s architectural style – a narrow pyramidal tower with niches containing almost 500 images of Buddha – is typical for the Gupta period. 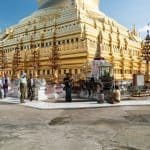 Have you heard of the Golden Rock of Myanmar? It’s a strenuous journey there. So, go to Bu Phaya (or Bupaya), the Golden Bulb on the banks of Irrawaddy River, instead. But seriously: The pagoda is renowned for being older than most of Bagan, having originally been built in the 3rd century by the 3rd Pagan king. Though, the original structure was destroyed by an earthquake and rebuilt in the 1990s with modern materials. At Gawdaw Palin, another one of the big and active pagodas, look out for the distinctly-faced golden Buddhas with their pointy noses. Gu Byauk Gyi On is a simple long temple, dating back to the 11th century and right next to Myazedi Pagoda. Note the ornately decorated windows. Myazedi Pagoda is home to the Myazedi Quadrilingual Stone. 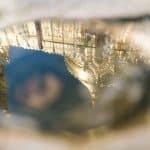 As part of the UNESCO Memory of the World, the stone is considered of equal importance as the Rosetta Stone as it allows the interpretation of ancient languages. 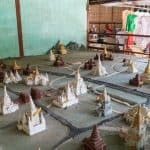 In Myazedi you can also find a simple model of the Bagan plain with the major temples. 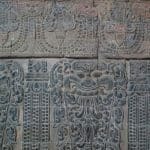 Nan Hpaya has beautiful stone carvings I didn’t see in any of the other temples. It was afternoon when we arrived at Myin Ka Bar Village (Myin Ka Bar or Mingalabar is the typical Myanmar greeting “Hello!”). 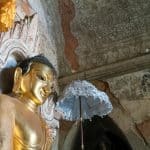 In the back of Manuha Temple, you’ll find another colossal reclining Buddha. 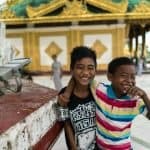 But being in the middle of the village, you’ll also encounter local children reciting Myanmar poems to Myanmar devotees here. Myin Ka Bar Village itself is renowned for lacquer crafts. The technique is applied to all kinds of products from bowls to boxes to puppets, etc. Dhammayan Gyi Pagoda is the largest of the Bagan temples and a must-see. 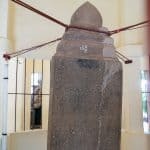 As legend has it, King Narathu ordered the largest ever temple after coming to power by assassinating his father and his brother. He himself was killed before the temple was completed. Finally, there is Sulamani Temple, just a few hundred meters from Dhammayan Gyi and another must-see. It is strikingly similar to its bigger neighbor and was named after a small ruby the king found in that very place. 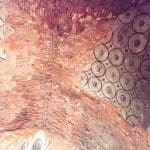 The frescoes inside – restored in 1994 after the 1975 earthquake – are among the most elaborate I have seen in Bagan. 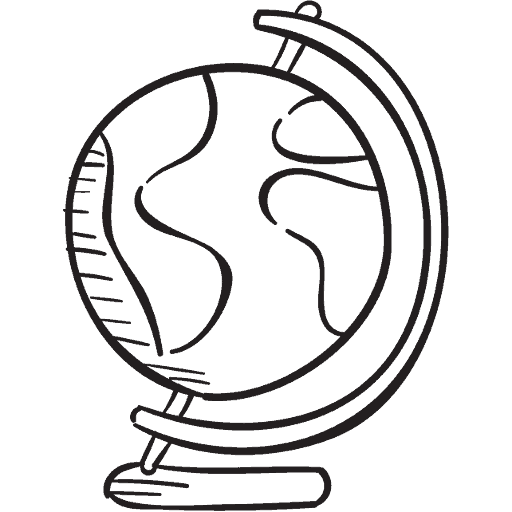 Tip: You can download the map above as *.kml file, send it to your phone as an email attachment and then open the *.kml file in the free offline navigation app maps.me. That way, you can easily navigate from one temple to the next, even if you don’t have WiFi/mobile data. Sorry for the delay in getting back to you! I use the standard galleries that come with Jetpack, usually (as in this post) the Tiled Mosaic with medium sized images and the random setting switched on. Hope this helps!